TAU | Windancer - Stairway to ...Heaven? While discussing with a colleague. We have a dilemma about a specific thinggie from the TAU flow. The bearer contexts shall be prioritized by the new MME. If the new MME is unable to support the same number of active bearer contexts as received from old MME/SGSN, the prioritisation is used to decide which bearer contexts to maintain active and which ones to delete. In any case, the new MME shall first update all contexts in one or more P‑GWs and then deactivate the bearer context(s) that it cannot maintain as described in the clause “MME Initiated Dedicated Bearer Deactivation Procedure”. This shall not cause the MME to reject the tracking area update. — I must note that I don’t find this approach very efficient. As the new MME knows it cannot deliver those bearers, why not delete them at once? Bearer Contexts to be created M Several IEs with the same type and instance value shall be included as necessary to represent a list of Bearers. 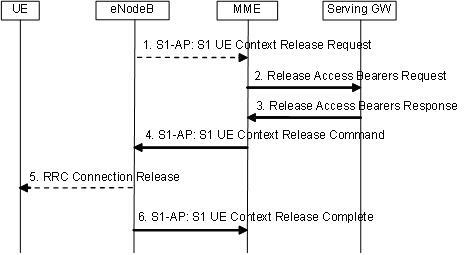 One bearer shall be included for an “eUTRAN Initial Attach”, a “PDP Context Activation” or a “UE requested PDN Connectivity”. Bearer Contexts to be removed C This IE shall be included on the S4/S11 interfaces for the TAU/RAU/Handover cases where any of the bearers existing before the TAU/RAU/Handover procedure will be deactivated as consequence of the TAU/RAU/Handover procedure. Now, from THIS particular paragraph I understand that, at this moment (when deciding to contact the new SGW), the new MME can already signal to the SGW that it wants to _remove_ this and this and this bearer. So, the dilemma: Which version actually happens in real life? Will the MME enable all bearers, then do an MME initiated bearer deactivation procedure to delete the ones it does not support… OR it decides to remove the not supported ones directly, signaling via this message to the SGW its intentions? 1. 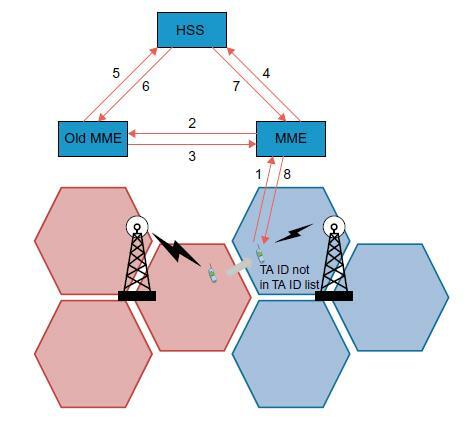 If the UE is in ECM-CONNECTED and it has a dedicated bearer matching the traffic, then a request from the network will result in simply routing the downlink packets from the SGW to the eNB via the existing dedicated bearer. 2. If the UE is in ECM-CONNECTED and it does NOT have a dedicated bearer matching the traffic, then the SGW/PGW(PCRF) will initiate a dedicated bearer creation, create the bearer and route the downlink packets to the appropriate eNB. 3. If the UE is in ECM-IDLE, ONLY THEN I see this Downlink Data Notification / Downlink Data Notification Ack (…Failure Indication) exchange meaningful. Q: Does it make any sense/When does it happen for the SGW to initiate this message exchange if the UE is NOT in ECM-IDLE? I am starting to have headaches again. First of all, I have read some of the posts from http://wired-n-wireless.blogspot.com, which is actually a great site and the owner actually works in the industry. Second, I have taken the specs and some books and I try to understand this concept. First of all, TAU comes from Tracking Area Update. The concept is closely related to some other concepts, which I should describe here – bear in mind that this is not an expert’s opinion, I am just the n00best person here trying to clarify stuff and hoping some nice people around the inter-web will give me a hand. So, first things first, what is ECM and EMM? Take a look at TS 23.401. A UE is in ECM-IDLE state when no NAS signalling connection between UE and network exists. 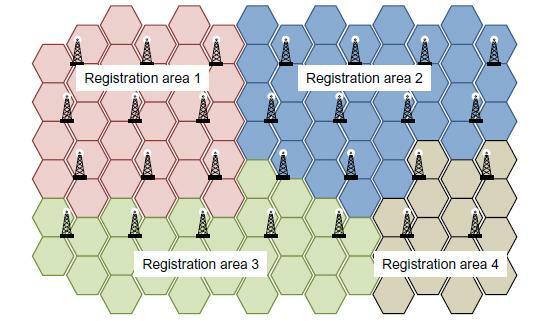 In ECM-IDLE state, a UE performs cell selection/reselection according to TS 36.304  and PLMN selection according to TS 23.122 . The UE performs the tracking area update procedure when the TAI in the EMM system information is not in the list of TA’s that the UE registered with the network, or when the UE handovers to an E‑UTRAN cell and the UE’s TIN indicates “P-TMSI”. Q: Now, the obvious question is: what are the conditions for the UE to switch between these states? In the EMM‑DEREGISTERED state, the EMM context in MME holds no valid location or routeing information for the UE. The UE is not reachable by a MME, as the UE location is not known. First let’s see the transitions between these states, then look at the S1 release procedure. The pictures are shamelessly copy-pasted from the Spec [TS 23.401]. -MME-initiated with cause e.g. authentication failure, detach, etc.